My day started with walking with Jill Tracy out for coffee, so I knew it was going to be good. Then I settled in next to Lindsey Fitzharris and Jennifer of The Dead Bell for another day of morbid food for thought at the first Death Salon. Day 2’s subject mater was all over the map. 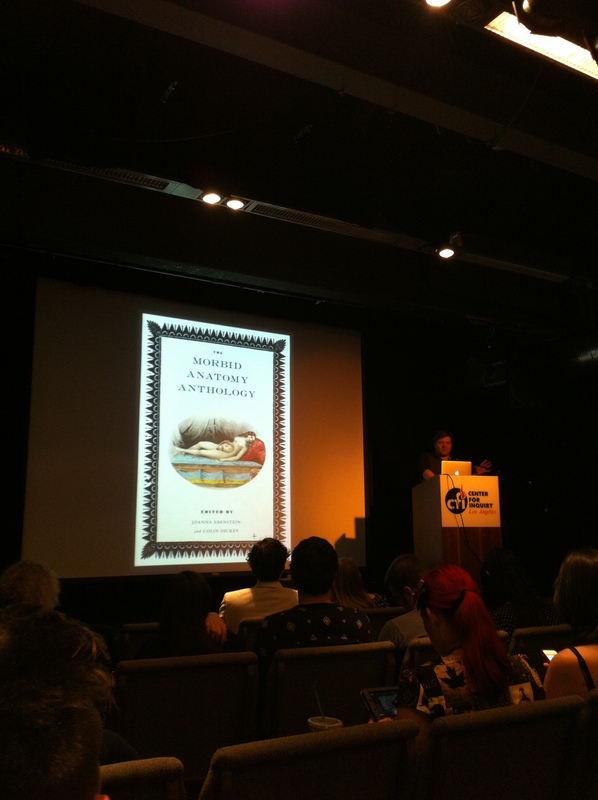 Joanna Eberstein of the Morbid Anatomy Library gave a lovely history of one of my favorite subjects: Anatomical Venuses. She read her chapter from the upcoming Morbid Anatomy book, which I cannot wait to come out! Caitlin Dougherty of Ask a Mortician stepped away from her usual topics to ask why weren’t there devil babies during the witch purges of the middle ages. She was followed by selected Midnight Archive videos, my favorite of which was seeing Stanley Burns in front of his amazing photographic collection. Mel Gordon spoke briefly about the Grand Guignol. Paul Koudounaris showed photos of a festival in Bolivia where people bring the exhumed skulls of strangers to have them blessed. Then Richard Falk explored the history of the Mutter Museum’s Soap Lady. The highlight of the day for me was Evan Michelson‘s surprisingly lovely recount of her visit to the Capuchin Catacombs of Palermo. She addressed the disappointment one feels after studying a historic destination for years (decades) and then finding it doesn’t resemble one’s expectations. She came around to the realization that if you’re open and still, you can often find it is better than you imagined. After a break — during which I ran down to Wacko and bought books, the afternoon resumed with Elizabeth Harper of All the Saints You Should Know presenting her essay about mortification amongst female saints as a perfectly logical response to enormous pressure. I liked it as much as when I read it on her blog. She was followed by Colin Dickey, who talked about poor flayed St. Bartholomew, Vesalius, and Michelangelo. His talk also came to some unexpected conclusions. Then Allison de Fren presented some of Gunther von Haagens’ Anatomy for Beginners, a British TV show that featured live human dissection. The video was fascinating in how it revealed and shied from its subject. Finally, Mel Gordon showed slides of the Cabarets of Death, accompanied by spontaneous compositions by Jill Tracy. 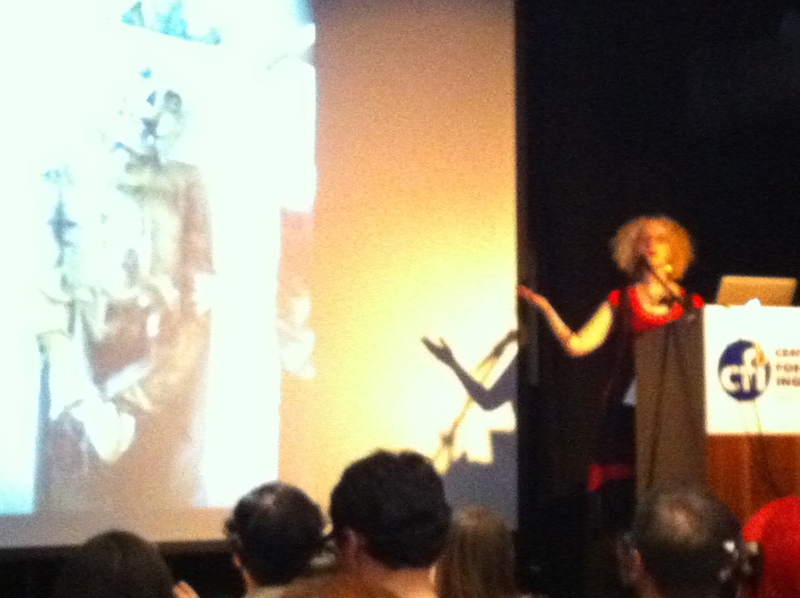 It was wonderful to see those images all put together and Jill was fabulous, appropriate, spooky, and funny. At the end, we were offered drinks from the Cabaret de Neant: cholera or cancer. I went with cholera, which tasted like mouthwash. In the end, I was amazed, delighted, and exhausted. This entry was posted in Morbid adventure and tagged #deathsalonla, Ask a Mortician, Chirurgeon's Apprentice, Death Salon, Evan Michelson, Jill Tracy, Lindsey Fitzharris, Morbid Anatomy Library. Bookmark the permalink.